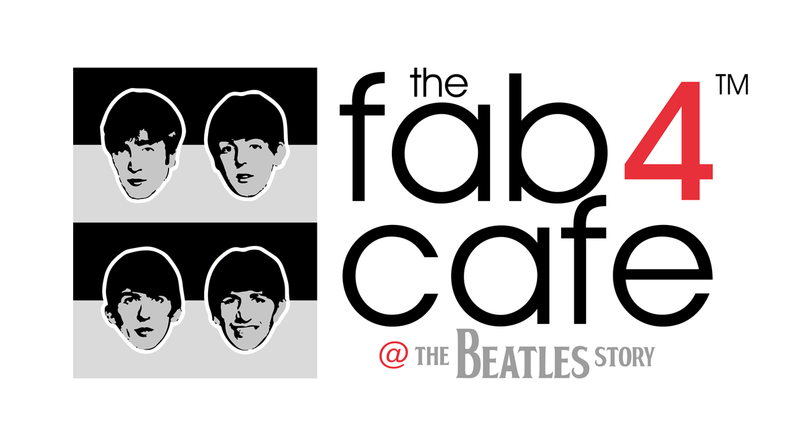 Sit back and enjoy one of our speciality coffees and select from a range of fantastic pastries and sandwiches in our newly refurbished Beatles-themed Fab4 Cafe. Evoking the spirit of the 1960 with hints of Abbey Road and Revolver under our Cavern-club style arches, the Fab4 Cafe Albert Dock is a must try refreshment stop during your visit. The Fab4 Cafe at Pier Head is located within the Mersey Ferries terminal building on the waterfront, directly opposite the new Beatles Statues. Use the FREE Wi-Fi and relax whilst listening to background music from the world's greatest band. Whether you're taking a break from a conference, attending a business meeting or simply popping in for a take away refreshment, be sure to come and visit the world's coolest coffee shop!